Guest Blogger: Glen Boyd, author of Neil Young FAQ, shares a performance by Neil Young on his blog. At last week’s Neil Young & Crazy Horse show in Biarritz, France on July 18, Neil surprised the crowd during the acoustic portion of the show, with the rarely played “Human Highway” from the Comes A Time album. To watch the video, go to Glen Boyd’s blog! Neil Young FAQ is the first definitive guide to the music of this mercurial and methodical, enduring, and infuriating icon. From the Archives to Zuma and from the Ditch Trilogy to the Geffen years, this book covers every song and album in painstaking detail-including bootlegs and such lost recordings as Homegrown, Chrome Dreams, Toast, and Meadow Dusk. Obscure facts and anecdotes from the studio to the road, along with dozens of rare images, make this book a must-have for Young fans. Guest Blogger: Glen Boyd is the author of Neil Young FAQ. Visit his blog for more Neil Young updates and discussions! On the eve of the 2013 Grammy Awards, a whos-who of music royalty — spanning genres from rock to pop to country and beyond (Latin pop superstar Juanes was perhaps the least likely surprise, performing “Hungry Heart”) — paid tribute to Bruce Springsteen as MusiCares Person Of The Year. Now, for those of you asking what all of this has to do with our usual focus on all things Neil Young…well, it just so happens that Neil (a past MusiCares honoree himself) was among the participants. What Bruce song would Neil play? Earlier this week, an online poll posted by our good friends over at Thrashers Wheat favored “The River” (by 25%) — with choices like “Streets Of Philadelphia” (covered by Elton John at the event); “Atlantic City” (performed by Dixie Chick Natalie Maines and Ben Harper) and “The Ghost Of Tom Joad” (Jim James and Tom Morello) running not far behind. But the one Bruce song most everyone seemed to agree was the least likely that Neil Young would perform was “Born In The USA”. So which song do you think Neil — with Crazy Horse, no less — actually played? Guest Blogger: Glen Boyd is the author of Neil Young FAQ. Below is an excerpt from his blog neilyoungfaq. Psychedelic Pill – Neil Young’s second album since reuniting with Crazy Horse earlier this year – is his most eagerly anticipated new recording in years, if not decades. The reasons for this are, of course, obvious. It’s a new recording of original material from Neil Young & Crazy Horse already. The good news is that this is also Neil Young’s best album – Crazy Horse or otherwise – in a good long while. One of the things that makes Neil Young, well, “Neil Young,” is the way that he has steadfastly – some would say stubbornly – followed his artistic muse over the course of his long and legendary career. But it has also just as often as not, alienated bandmates (including those in Crazy Horse); frustrated fans; and at one point, even caused his own label to sue him for failing to make “Neil Young” records. The thing is, Neil Young always manages to find his way back, even following these long periods of what at least appears to be artistic flux. He last did it with Freedom in 1989, a “comeback” record made following nearly ten years of often confusing, confounding genre experimentation. Keep reading this post at the author’s neilyoungfaq blog. Neil Young has had one of the most remarkable careers in the history of music. He hasn’t just outlived many of his contemporaries – some of whom were great inspirations for him (“From Hank to Hendrix,” as one of his own songs says); his artistry lives on through those he has inspired (Pearl Jam, Radiohead), and he remains relevant and vital well into his fifth decade of making music. Young also continues to crank out records at a rate that would kill most artists half his age. Between his solo and live albums, and his work with Buffalo Springfield and Crosby, Stills, Nash and Young, his remarkable career has spanned well over 50 albums. Guest Blogger: Glen Boyd is the author of Neil Young FAQ. Below is an excerpt from his blog Neil Young FAQ. For those of you who missed it — and for those of you who had the misfortune of trying to watch via the AXS-TV cable coverage, you missed quite a bit — Saturday’s Neil Young & Crazy Horse set from the Global Citizen Festival free concert in New York’s Central Park, was a barn-burner. Following spirited sets from The Black Keys and Dave Grohl’s Foo Fighters (who may or may not have announced they are breaking up), Neil Young & Crazy Horse took to the stage with a feedback drenched fifteen minute version of “Love & Only Love” from the classic Ragged Glory album. From there, they went right into “Powderfinger” from Rust Never Sleeps. Next up was a pair of lengthy jams from the upcoming Psychedelic Pill — “Born In Ontario” and “Walk Like A Giant,” the latter ending with a torrent of noisy, thunderous feedback. It was classic, trademark Crazy Horse. Keep reading at Glen Boyd’s Neil Young FAQ blog…. For us, the DVD release of Neil Young Journeys comes as a bit of a surprise — not only coming so soon after its brief theatrical run, but also because of the fact that Neil Young Trunk Show — the second film in the Neil Young/Jonathan Demme trilogy (2006′s Heart Of Gold document was the first) — has yet to see a DVD/Blu-Ray release at all. Neil Young Journeys of course documents Neil Young’s return to Toronto’s Massey Hall on the Twisted Road tour, a series of solo (but not always acoustic) shows, where Young showcased then unheard new material, most of which was eventually released on 2010′s Daniel Lanois produced Le Noise album. In Demme’s film, concert footage (which also includes the unreleased songs “Leia” and “You Never Call”), is interspersed with scenes showing Neil Young’s often emotional return to his childhood home in Omemee. No word yet on a home video release for Trunk Show, although you can find a very lively, often humorous discussion speculating on this very subject over at Thrashers Wheat. Trunk Show captures Neil Young on the road during 2007/2008′s Chrome Dreams II Continental Tour, and also features some of the final performances from the late Ben Keith. The Bridge School Concerts, October 20 & 21, 2012 at Shoreline Amphitheater, Mountain View, CA. This year’s 26th annual Bridge School benefit shows feature one of the more interesting lineups in recent memory. In addition to the expected set by Neil Young & Crazy Horse, the performers include Jack White, Sarah McLachlan, Foster The People, k.d. lang, Steve Martin and his bluegrass outfit The Steep Canyon Rangers, The Flaming Lips, and perhaps most interestingly, the touring Axl Rose-led outfit billing itself as Guns N’ Roses, despite the absence of any original members, save for Axl himself. With Axl, virtually anything is possible — the show could either be brilliant or a complete disaster. But you have to think that if Axl respects the Bridge School enough to volunteer his band’s services, that he will be on his best behavior that night. Speaking of potentially entertaining trainwrecks, it will also be interesting to see if the Flaming Lips bust out one of their over-the-top performances of Pink Floyd’s Dark Side Of The Moon. Keep reading this post on the neilyoungfaq blog. After hyping a mysterious big announcement 24 hours prior, we were delighted to learn yesterday that our good friend — and author of the forward of our Neil Young FAQ book — Thrasher is coming soon to a radio near you. Not to be confused with the legendary Rust Radio — the 24 hour, round the clock internet Neil Young radio station which brings nothing less than “All Neil, All The Time” — Thrashers Wheat Radio nonetheless is promising that “Feedback Is Back” when it makes its official debut this weekend on WBKM.org. Keep reading this post at neilyoungfaq. 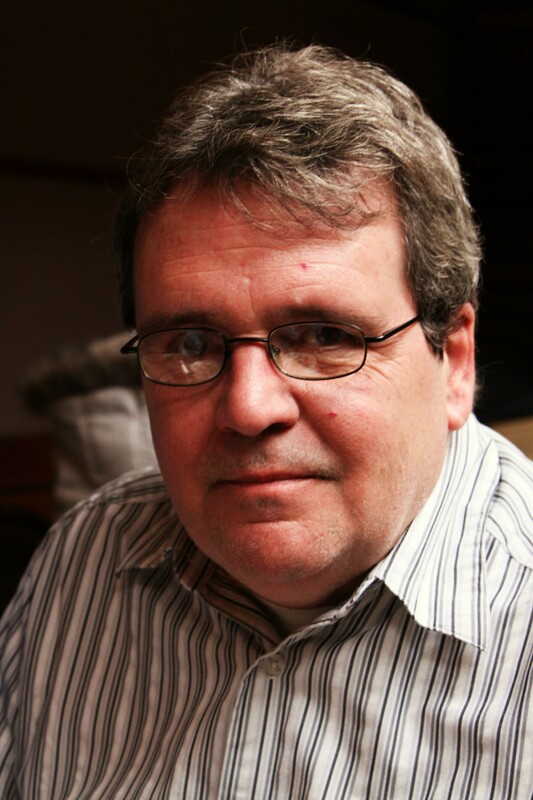 Guest Blogger: Glen Boyd, author of Neil Young FAQ (Backbeat Books). The following is an excerpt from the author’s blog. As a relative newcomer to the ranks of published rock authors one of the more gratifying things I have experienced has been the incredible support from the fans of my chosen subject.Which, in this particular case, means those diehard Neil Young fans who have come to be known as the Rusties. The “Rusties” first began life on the internet as the sort of wildly devoted Neil Young fan group who could quote you the most obscure song from Neil’s vast catalog line and verse without batting an eye, and who have seen the man himself in concert — often on multiple continents — more times than folks like you and I change underwear. Keep reading this article on the author’s blog! Neil Young FAQ is the first definitive guide to the music of this mercurial and methodical, enduring, and infuriating icon. From the Archives to Zuma and from the Ditch Trilogy to the Geffen years, this book covers every song and album in painstaking detail-including bootlegs and such lost recordings as Homegrown, Chrome Dreams, Toast, and Meadow Dusk. Obscure facts and anecdotes from the studio to the road, along with dozens of rare images, make this book a must-have for Young fans. 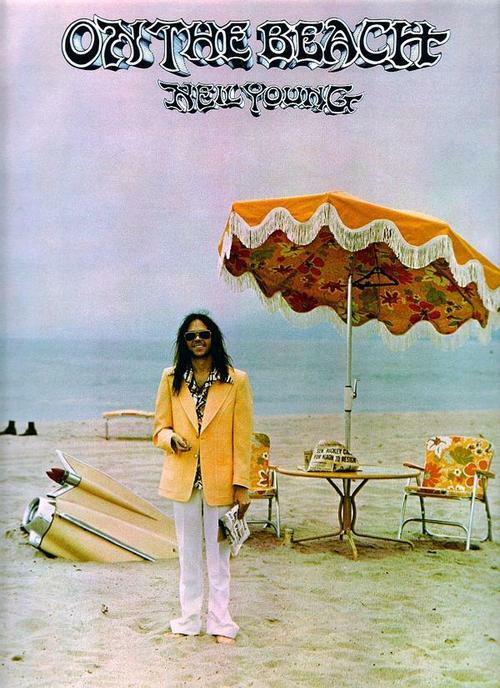 Although On The Beach is one of my very favorite Neil Young albums, I didn’t become fully aware of “Cajun Wildman” Rusty Kershaw’s unique connection to this masterpiece from Neil’s infamous “Ditch Trilogy,” until I was fairly deep into the process of researching material for the Neil Young FAQ book. I did of course know the name, largely by virtue of Rusty’s recordings with his more famous brother, Cajun fiddle great Doug Kershaw. I also knew somewhat of Kershaw’s contributions to the On The Beach album, and of course I knew of his reputation. Especially all of those legendary tales of lore I had heard about the “honey slides” which powered the sessions for the On The Beach record. For those who don’t know the entire back story, Kershaw’s introduction to Neil Young’s musical inner-circle came by way of Ben Keith — a fellow musical traveler on the Cajun country circuit, who had by this time become a fully integrated, and quite integral part of the Neil Young camp. As the story goes, Kershaw made himself quite at home during the making of On The Beach too, racking up exorbitant hotel bills on Neil Young’s dime, complete with the wine-stained and cigarette burned hotel room carpets that those paying the bills soon learned came as a natural by-product of Kershaw’s “Cajun Wildman” reputation.